Come and join the world famous Duck Fair, a celebration to the beginning of the wine making season. 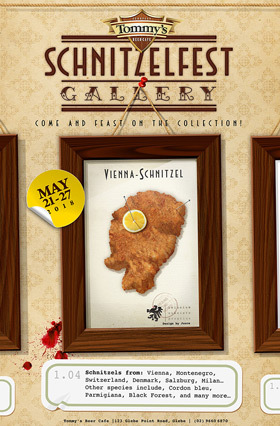 Enjoy roasted duck & goose, duck liver and sweet wine. 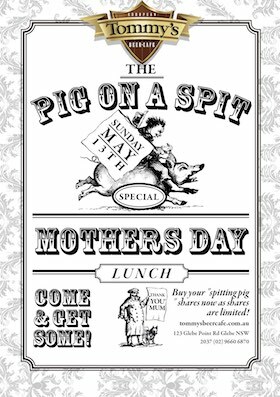 Mark the date – Saturday April 1 – all day – and book a table now. Be prepared for a feast of best European hunting tradition at Tommy’s with meals and recipes ranging from duck to pork to rabbit. 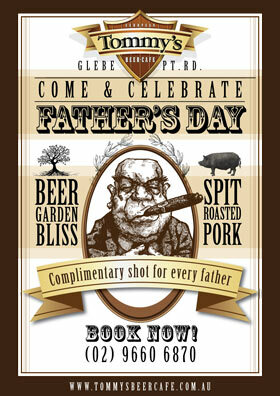 Enquire today (02) 9660 6870 or book a table at Tommy’s Beer Cafe. 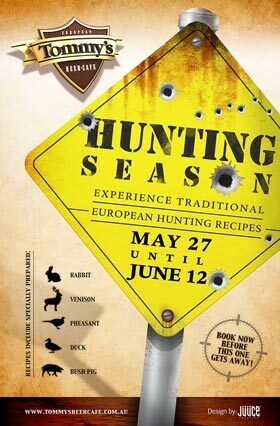 Hunting Season starts May 27th! 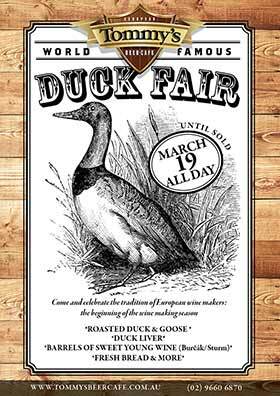 Mark the date – March 19th 2016 – all day – and book a table now. 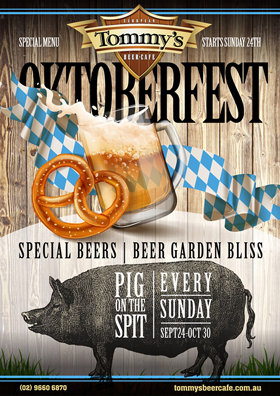 How fast time passes – five years of joy, beer and exceptional food. 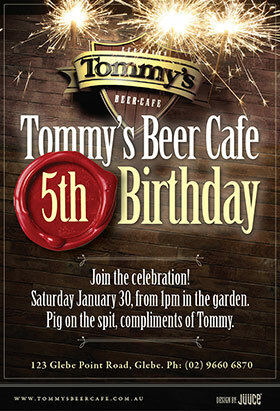 Tommy’s Beer Cafe turns 5 – join the celebration Saturday January 30 from 1pm in the garden. Pig on the spit, compliments of Tommy.